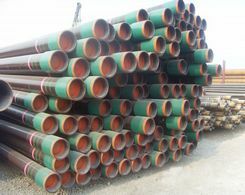 There are various kinds of steel pipes, like welded steel pipe, black steel pipe, stainless steel pipe actually and the steel pipes are durable and strong. 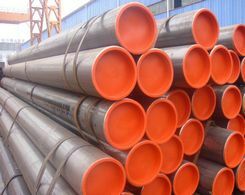 The steel pipes can be used for many different applications actually. To polish your stainless steel pipe will give it that mirror finish and make it more attractive and shiny. But do you know how to polish the stainless steel pipe. Follow me to get more detailed information please. First of all, prepare things you will need, like grinder, polishing belts, polishing compound, grinding discs, polishing discs. Well, you can put several types of finishes on a stainless steel pipe. The smaller the grit of the belt sander, the finer the finish you will achieve. You can use different abrasive and non-abrasive buffing discs along with the belt grinder to achieve different finishes. Second, grind down any welds that are still on the pipe and use a grinding disc and grinder for this task. And mount the pipe into a pipe vise or similar set-up. You are advised to use a regular vise wrapped with a towel or fitting with a rubber cap if you have no professional pipe vise. Third, add a polishing compound to the pipe. Slide your polishing belt onto the pipe and around the head of the grinder. Hold this below the steel pipe and move it slowly back and forth across the pipe. Apply additional polishing compound as required. 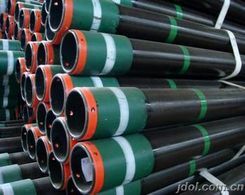 Use a grinding belt wheel to polish the pipe by sliding it along the pipe with steady motions. Fourth, use a buffer disc by applying polishing compound to the stainless steel pipe and buff the fine lines out. Repeat until you have a stainless steel pipe polished to the finish you desire.